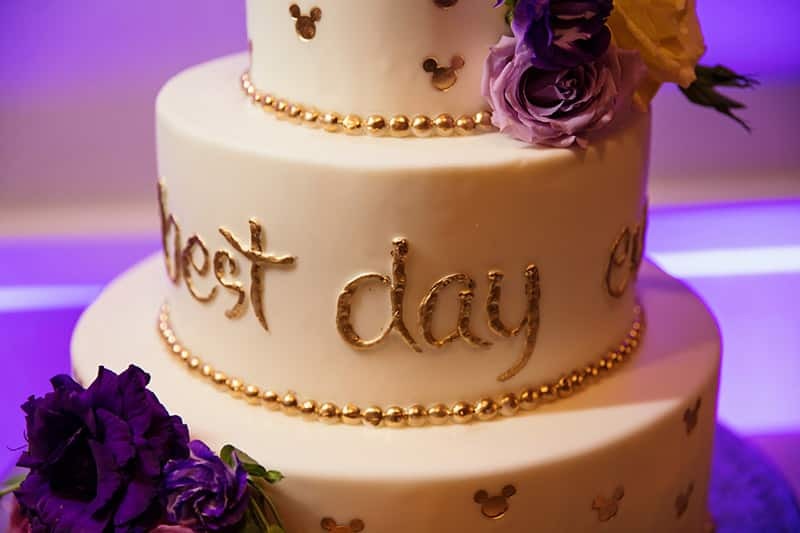 Celebrate your best day ever with the best cake ever! 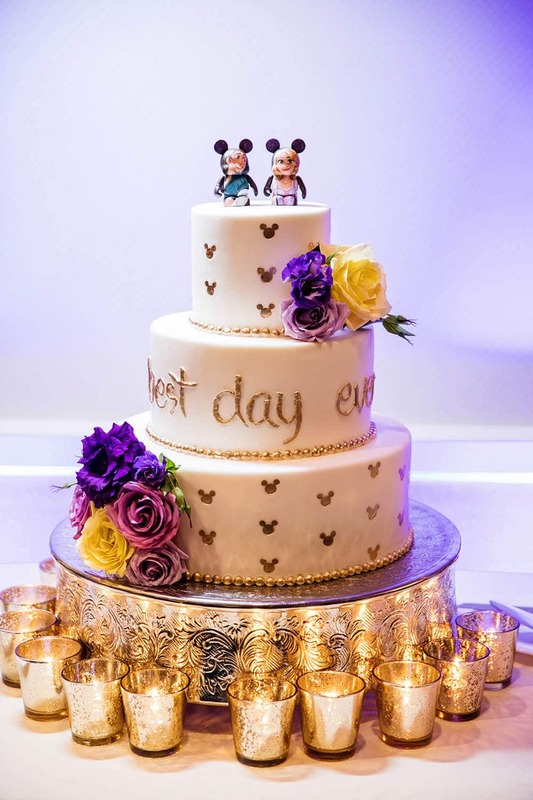 This Tangled inspired wedding cake is a delightful treat for your new life that is about to begin. Surrounded by glowing candles, it is reminiscent of the lanterns scene from the movie, plus the golden Mickey heads shimmer in the light. 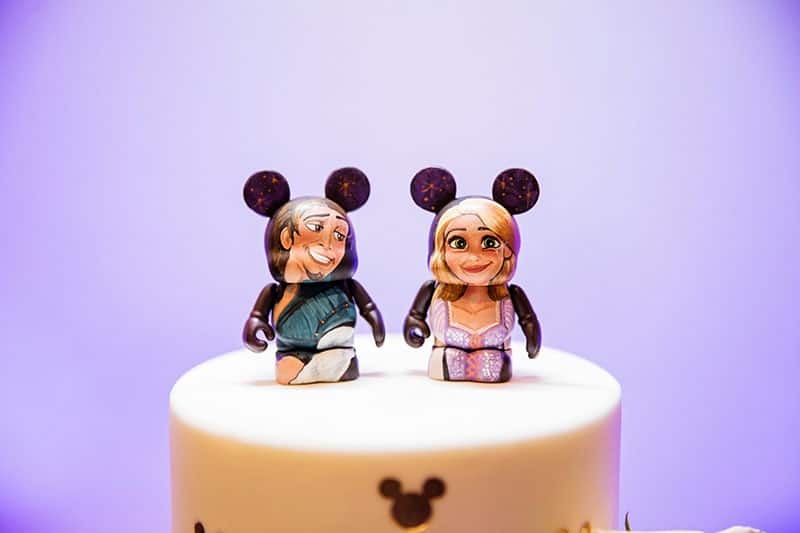 Atop it all stands Flynn and Rapunzel looking as dashing as ever!